All you advanced beginner sewists listen up! This pattern is designed just for you! 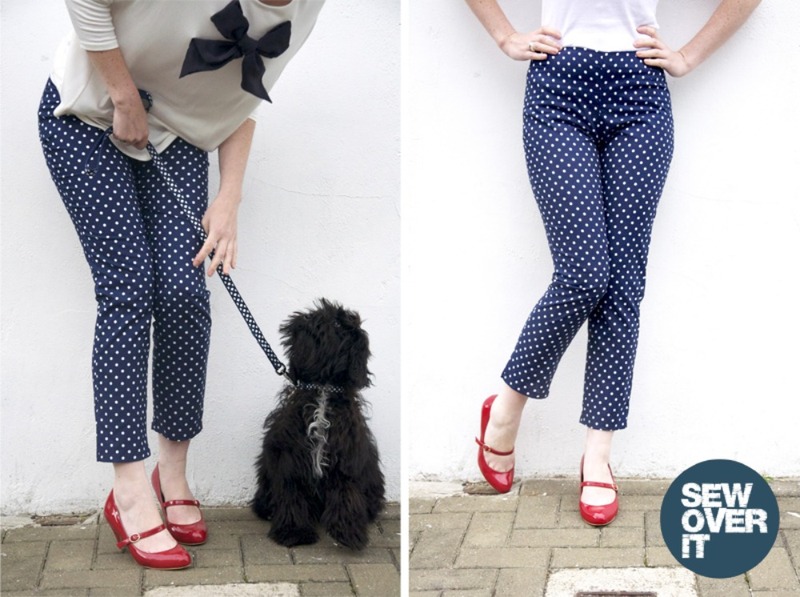 The slim fitting and ankle grazing trouser design is figure flattering for so many body types! There are only 4 pattern pieces to these not-too-tricky trousers. And no fly! The Ultimate Trousers fasten with a 9 inch invisible zip. The waist is finished with facing and the trouser legs are machine hemmed. More advanced sewists will be able to whip these up in no time! 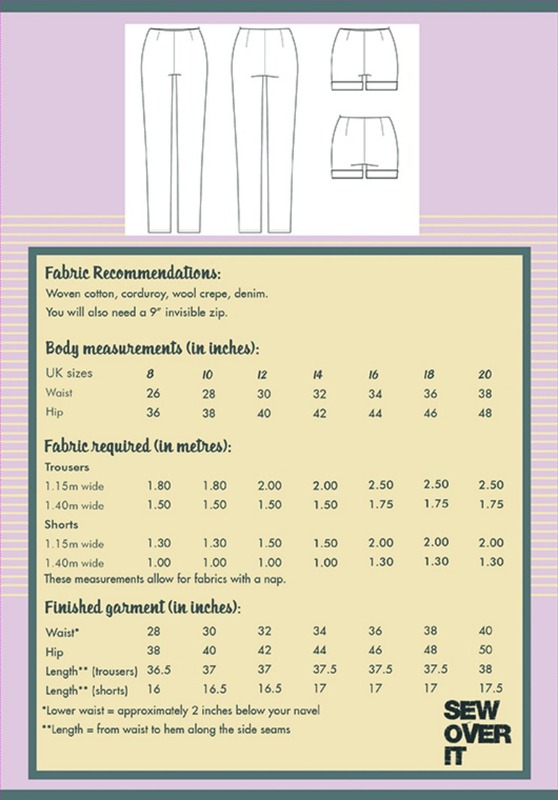 One Ultimate Trouser pattern will allow you to create trousers in UK sizes 8 to 20. 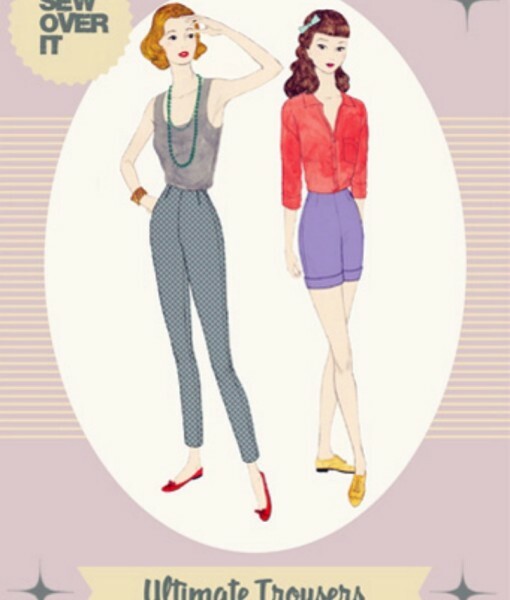 Sew Over It recommends medium to heavy weight cotton, wool, crepe, corduroy or denim fabric or for warmer weather versions have a go at using rayon or other lightweight drapey fabric. 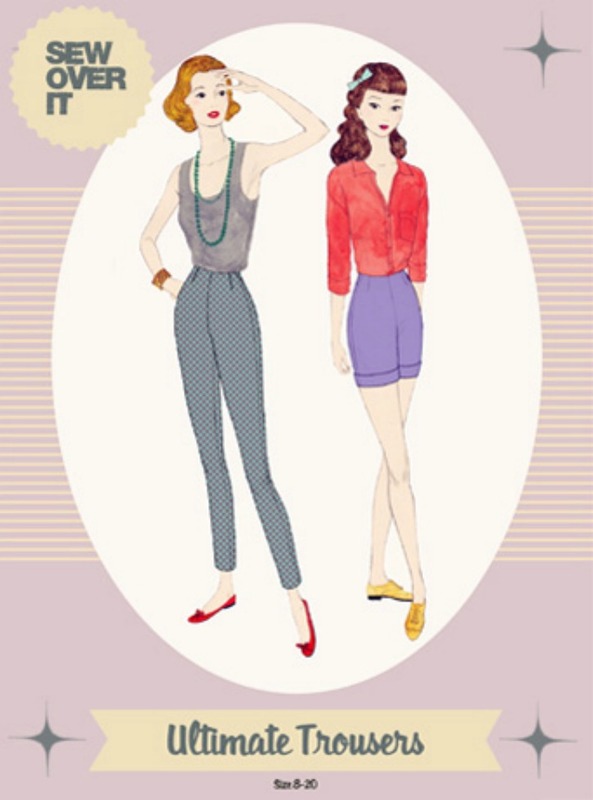 In a word, this pattern for Ultimate Trousers and shorts is fab-u-lous! 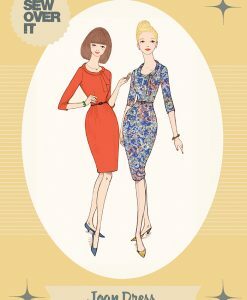 Any beginner sewist looking to take the next step into his or her dressmaking skills can have a go with this design. You’ll be able to create several wardrobe boosting pairs for year-round style! 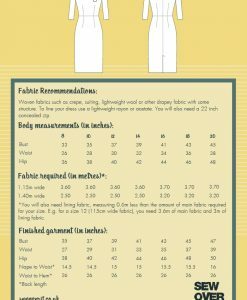 Please have a look at the image of the back of the packaging to see how much fabric is required for creating your trousers and shorts as it varies depending on the fabric width and among sizes and which version of the pattern you’ll be making. Lovely pattern with clear instructions. I also like how if you go onto You Tube, they also show you how you can vary and add to the pattern.